In today's Networked Society, where people constantly shift their attention between the physical world and the internet - often almost unconsciously - it will soon become meaningless to talk about online and offline as two separate realities. People are increasingly connected to the internet around the clock - nearly 40 percent of smartphone owners worldwide now go online before even getting out of bed - and the explosive increase in the use of mobile apps is also impacting on shopping behavior. 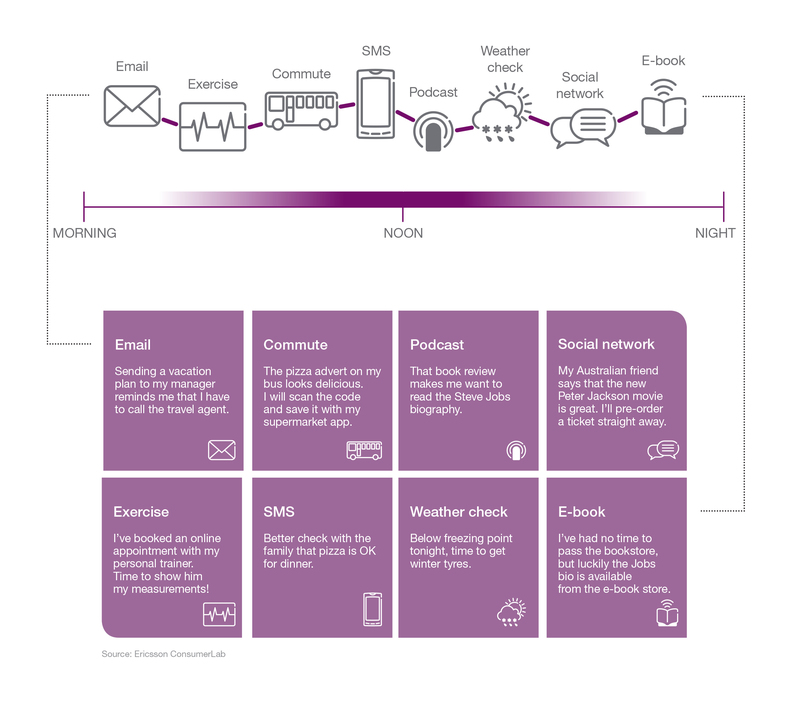 This is the status quo described in the In-Line Shopping consumer insight report, jointly written by the Copenhagen Institute for Futures Studies and Ericsson (NASDAQ:ERIC) ConsumerLab. 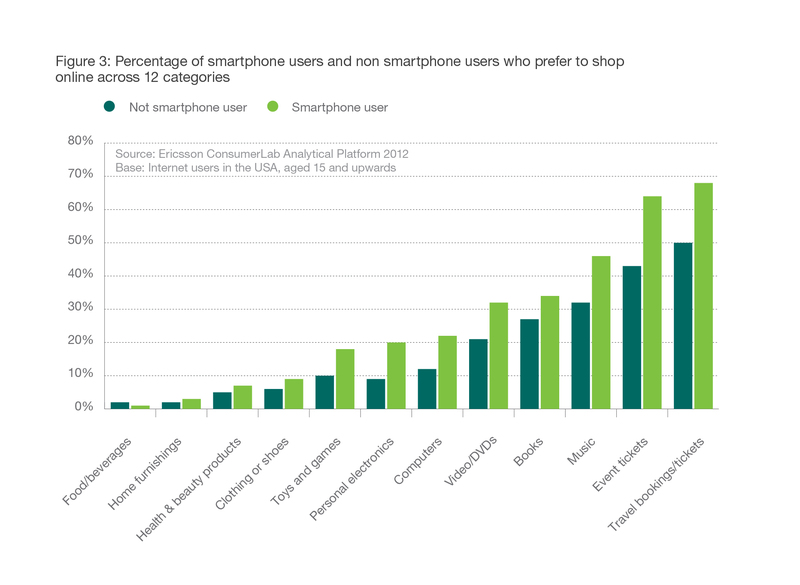 The report, which draws on data gathered in the US during 2012, reveals that smartphones already play an integral role in the shopping experience. 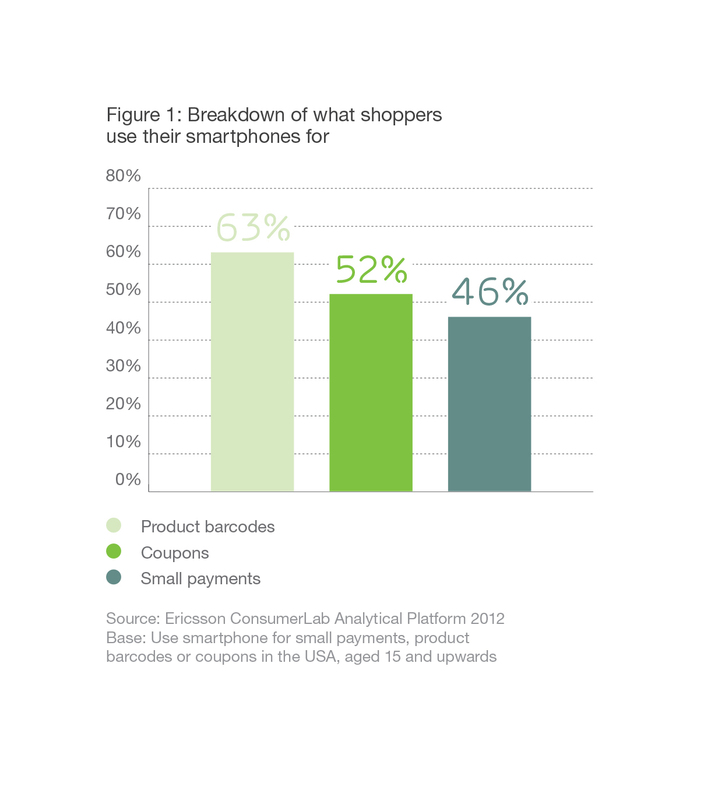 Four out of 10 US smartphone owners use their phones to make small payments, scan product barcodes or download coupons. The report identifies a phenomenon best described as "in-line shopping" that has emerged as a result of shoppers' desire to combine the best aspects of in-store and online shopping. In other words, shoppers want to be able to see, touch and try products, make price comparisons and access extended product information without having to wait in line to make a purchase. Michael Björn, Head of Research at Ericsson ConsumerLab, says: "Consumers are making shopping part of the natural flow of their everyday lives. As a result, they want apps that make the shopping experience convenient and hassle-free. Just as people want anytime, anywhere internet access, they also want to be able to shop as soon as the need arises. Retailers need to understand and meet this need if they want to be successful in the coming years." Overall, smartphone users are more interested in online shopping than non-smartphone users. Across eight of 12 product categories analyzed, consumers prefer a combination of in-store and online shopping rather than online shopping alone.